St Modwen Developers are wasting no time in getting on with the building of the new housing estate on Draycott Level (on the ridge behind Chandni Cottage restaurant). The previous name we knew it under, ‘Blythe Vale’, has been changed to Blythe Fields. So, from all that, one can guess that St Modwen clearly have no fears that the latest (revised) expansion plans they have submitted for the estate (which mean the latest version of the estate will grow to be almost the size of the one coming to Cresswell) will get the necessary planning permission… ! The proposals go before the Planning Committee at Leek next month. It’s to be hoped that we get more energetic local councillors soon – ones that are capable of dealing with these big issues in a way that our current representatives seem unable to. And, if things go right, we may indeed get some as soon as in a few weeks, because the latest round of council elections is almost upon us. But, for a democracy to work, ‘good & true’ people need to come forward and stand as candidates; and there are only a very few days left for people who wish to stand for election to Draycott Council to put in their nomination papers. (Draycott Council covers Draycott, Cresswell, Draycott Cross & Totmonslow). The Staffordshire SPCA is urging village councils to run campaigns to get candidates to come forward, and some have; already other nearby councils are energetically running such promotions, calling on their residents to come forward to stand as village councillors – next-door Checkley Council is even running a promotional video. Sadly, even though we are so close to the deadline, Draycott Council has not yet chosen to run such a campaign. One can only wonder why. Seven candidates are needed to stand for Draycott Village-Parish Council alone – that’s how many seats there are on the council. So. Do you think YOU could make a difference? If you do, print out the official documents and fill them in. If you are not sure, read our Guide to Becoming a Draycott & Totmonslow & Cresswell councillor. One person who is well-remembered for a being a great Draycott village councillor is the redoubtable Betty (aka Bessie) Hammond who served for thirty years. 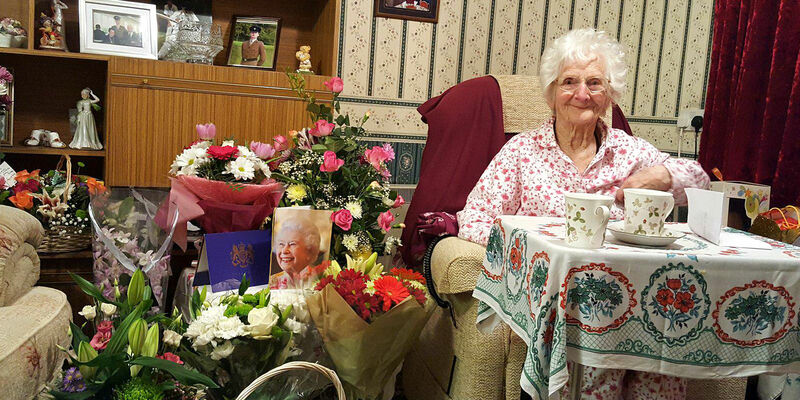 She has retired from the role now – which is not surprising, as she turned 106 last week! Unlike her 100th Birthday party, last week’s party was a smaller affair, as Betty gets a little tireder these days than she used to, but a pub room still had to be arranged to cope with all the guests! It’s amazing to think that, when Betty was born, in 1913, the First World War had not even started and horse transport still ruled the road… It’s even more amazing to think of all the babies that have come into the world in her hands: she spent many years as a sort of unofficial midwife to the working people of Draycott & Cresswell. In fact, she was tireless in her public service. Read our article – Betty Hammond’s Life-Story. Wouldn’t it be great if there were more people like Betty? 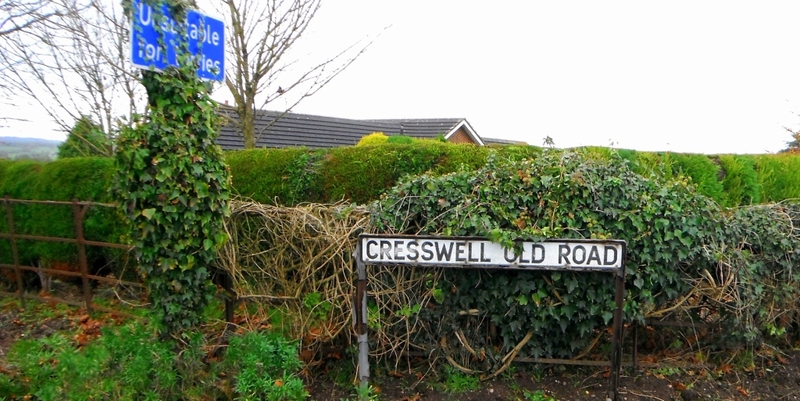 Those of you with long memories will remember that back in 2013 we wondered why the road sign at one end of Cresswell Old Lane was labelled (wrongly) as Cresswell Old Road. We even wrote an article about it. We reported the issue to Staffs Moorlands Council – but nothing was done. So, eventually, we took the problem to Draycott Council, who agreed to pass on our concerns in an official letter. And, hey presto… soon the clever people at Leek got the sign changed. Caverswall??? Should be Cresswell ! 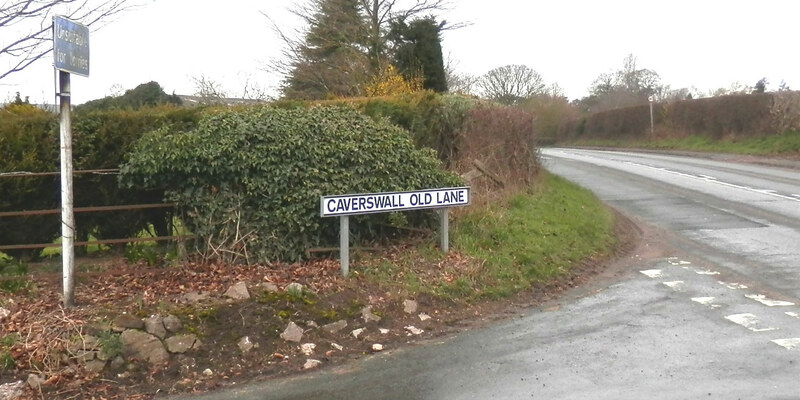 The road-name sign was changed, yes, but to say ‘Caverswall Old Lane’ … Ooops!!!! So, at last, we know something of the circumstances which led to the sad death of Becky Smith and her child Corey. The two died in a road accident on Draycott level last August, but the coroner’s inquest has only just taken place. It is a very sad story indeed, as it indicates that these deaths were probably quite avoidable. According to witnesses to the court, including the one child survivor of the accident, Becky was ‘foaming and shaking at the wheel’. This means that she was probably suffering an epileptic fit as she was driving. In fact, Becky had indeed been diagnosed epileptic – but she had not informed the DVLA; and ‘active’ epileptics are not allowed a driving licence. Investigators revealed that the toddlers in the car were not using booster seats. And medical evidence revealed Becky was over the driving limit for cannabis. A sad list of three avoidable factors… which just go to show that the rules are there for a reason. Thank goodness that the driver of the other vehicle in the crash was not badly hurt. One silver lining to this terrible dark cloud is that the accident was not caused by speeding, as many residents had feared. 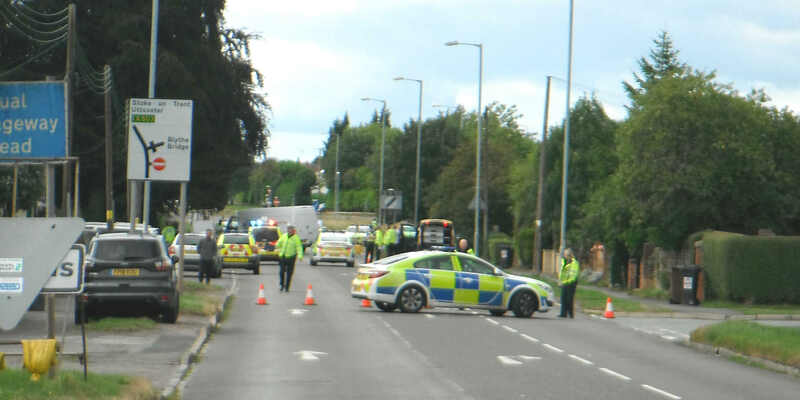 In fact, we now know that two out of the three fatal accidents in the last year in Draycott were actually down to other reasons, not speeding. The third fatality, that of motorcyclist Martin Barker in January, has yet to come before an inquest. If you want to take part in the forthcoming Draycott Village Council elections, you must ensure you are registered to vote within the next weeks. There are very few qualifying conditions to get a vote, so don’t let that put you off. If you can’t remember if you are already registered, you will have to go to a local office and check the electoral register. If it turns out that you are not already registered, it’s very easy to register in time. Click here to learn more about how to do it. Parking on pavements – for and against…. The problem of parking on pavements/verges in Draycott is not a new one. 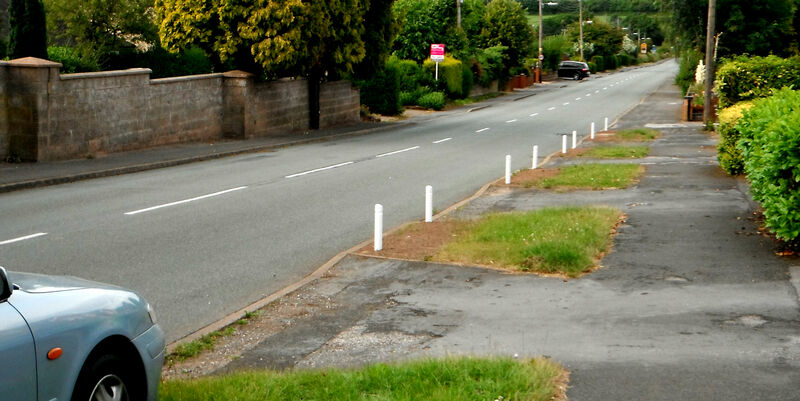 Over four years ago, Draycott village council was dealing with complaints from motorists trying to pull out from side-roads (e.g. Stuart Avenue) who were finding it difficult, as verge-parked cars were blocking their line of sight. But the council simply followed the legal line: “…it is not illegal to park on verges though it is illegal to obscure the vision of other vehicles. Residents are advised to call the police when this is the case”. But there is also the fact that the grass verges were designed to be part of the attractive presentation of the village; and a run of churned-up, muddy verges goes against that vision. So the village council does need to be pro-active, not just stand back from the issue. Yet… there is after all the other side of the coin. Some motorists do deliberately half-park on pavements in narrow side-streets, as an act of courtesy, because they are just kindly trying to make room for others – especially around the corners of bends, where it is (actually) quite considerate. Some park on pavements & verges because they are sick of getting their wing-mirrors clipped by passing cars driving too close! However, there is no ‘right’ by a householder to park on pavements, even ones outside their own home. Some residents have cleverly through through this issue and re-designed the front yards of their houses as two or even three-car parking lots. This also means they get a discount on car-insurance, as all the family’s cars can be accommodated in a ‘driveway’ (driveway parking gets a discount in car insurance). But it is a growing issue – because more and more families are owning more and more vehicles. 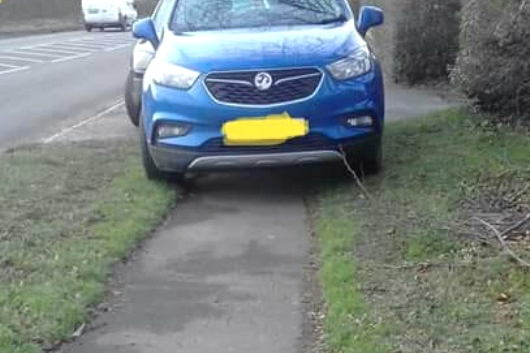 It is so problematic that local councils in Staffordshire are set to follow the example laid down in London, where parking on pavements or verges is strictly illegal. (As you might guess, the British Parking Association has even launched a ‘Positive Parking’ campaign to push the idea). Even our local council here in the Moorlands region is considering the idea. But …. what do you think? Have a look at the comments on this subject (just scroll further down this page), and use our Comments box there to let us hear your thoughts too. Construction at Blythe Park… without the roundabout? Never a month goes by in our district without a new planning story! This month, we learn that the period of public consultation about the latest situation concerning the access road onto Blythe Park in Cresswell has been extended, from March 6th to March 27th. No one knows why really. However, the extra time limit could have been given because the developers have had a bit of a slap from the Highways authority. The developers want to forget building a promised roundabout for now, and continue to use the current access road on to the business park. 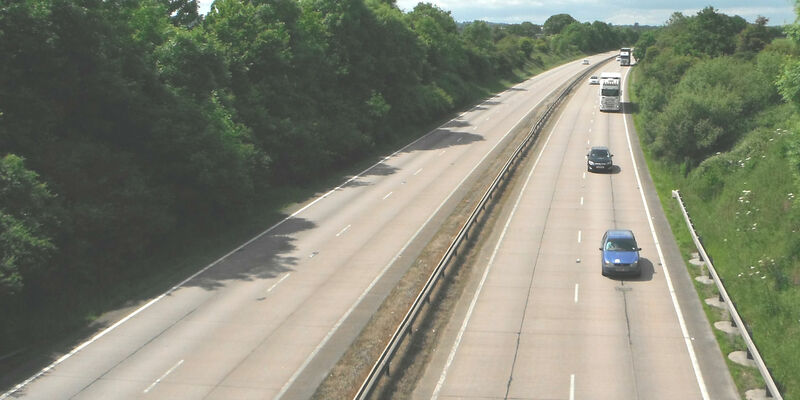 But, in responding to the developer’s application last month, Simon Haw, head of Staffordshire Highways, pointed out the lack of traffic-forecast information in this plan – meaning he was minded to object to the application. This is not good news for the developers, so maybe they need the extra time to scramble around and get such information sorted. In the meantime, a group of local residents have added their objections to the plan too. They have written up their feelings in a formal letter which has been submitted to the Planning Committee. See the letter by clicking here. 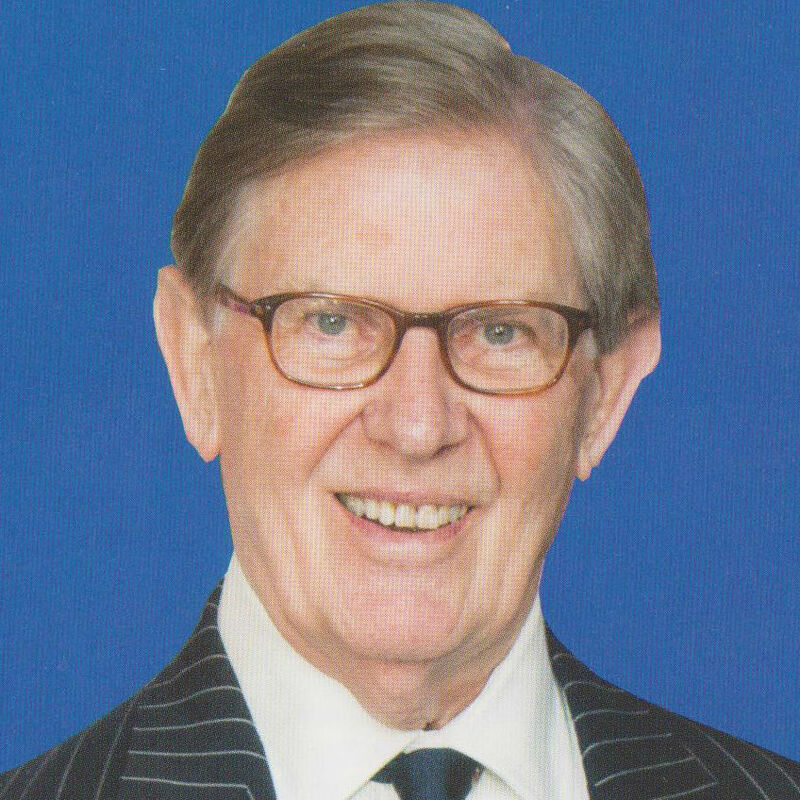 One of the most disappointed men in Britain this week must be our very own MP, the Conservative Sir Bill Cash. (Sir Bill’s constituency covers the whole of Draycott and district). Sir Bill (see pic right) is a ‘hard Brexiteer’, and was one of the first MPs to put his name down calling for a vote of no-confidence in Theresa May, the leader of his own party. However, as you probably know, although the vote was indeed eventually called, his side was easily defeated – and Theresa May continues as Conservative leader (and prime minister). For 78 year-old Sir Bill, the current Brexit situation is a bitter one. He has spent the thirty-plus years of his parliamentary life opposing Britain’s presence in the European Union; and he detests the idea of even the ‘soft Brexit’ which now seems to be on the cards (maybe!). He has literally filed thousands of questions in Parliament on the subject of Europe, and recently he has concentrated on it so much, he seems to be almost ignoring all other issues. By the way, if you would like to speak in person to Bill, he is holding a surgery locally this Saturday (15th) -see our Local Events page for details. It’s a case of now-you-see-them, now-you-don’t. What has happened to the perspex windows in the bus shelters at the western end of Draycott Level? The windows in the shelters at Stuart Avenue and outside The Golden Keg seem to have just … disappeared. 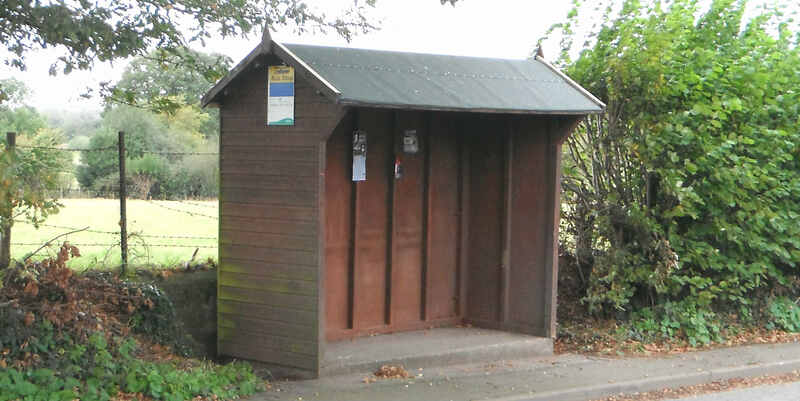 Although there is currently no public bus service through Draycott (though there are hopes to being one back), the shelters are still used by children waiting for their school bus. The windows are a protection against wind, rain and snow. So who authorised their removal? This was the question put by a member of the public at the last meeting of Draycott Council (because the council owns the two shelters). The question also followed formal complaints to the council from residents not happy about the windows’ removal. After a lot of fuzzy responses, the actual answer to the question finally arrived: one councillor, who had been asked to tidy up the shelters, took it upon himself to make the decision to take the windows out – without referring the matter back to the full council. He thought the windows were detrimental. You’d think that that off-the-cuff act would slightly bother the rest of the councillors, wouldn’t you? But they were simply indifferent. As for the complaints from the public about the matter, they were dismissed out of hand as spurious. This is yet another case of Draycott councillors simply thinking that the public don’t need to be consulted. Because, in fact, there was indeed a useful debate to be had about whether the windows in the bus shelters should be removed – for instance, the perspex had got discoloured & ugly versus the fact that they do provide protection for the kids – and it would also be nice to even have such a debate! So why wasn’t the matter put on the agenda of a public meeting in a proper fashion? This simply illustrates that we do need new councillors – ones that will try to find out the public’s views on things, and communicate with electors on public issues, before they act. There will be elections to Draycott Council in five months time – will YOU step forward and stand, and bring a fresh approach? At their last meeting, a few Draycott councillors said they had witnessed themselves drug-dealing taking place on Draycott Level. It was very clear to them what was going on. But they also admitted that they had not informed the local police, or reported descriptions of the miscreants to Crimestoppers. The reason, they said, was that it wasn’t worth it – and no other councillor disagreed. This is a sad reflection on the state of things today. When our leading citizens, as in this case, no longer trust the police to act on information about criminal behaviour, it’s a sorry lookout. So… what do YOU think: are the local police really so useless? We’ve put a poll on this page for you to give your opinion. If you saw drug-dealing taking place locally, would you report it (even anonymously), or, like our councillors, think it just not worth it? What would you do? In the meantime, we understand there were thefts from vans last week (the night of the 3rd & 4th Dec) in Stuart Ave, at the western end of Draycott. If you saw anything, you can call 101 to speak to the police or email our local PCSO james.naylor@staffordshire.pnn.police.uk. With all this political stuff going on, it’s almost hard to remember that this is the Christmas season. However, if you take a look at our What’s On pages, you’ll see lots of carol concerts within a three-mile radius, and even a pantomime! St Mary’s Church in Cresswell thinks that it’s a time also to remember the needy. After their carol service on Sunday (16th Dec at 3pm) they’ll be accepting donations for the homeless. Donations should be specific: what is needed are quilts, men’s socks & underwear (new), gloves, hats, scarves, basic toiletries, shower gel, deodorant etc. Donations should be packaged in a sturdy bag, or cardboard boxes. You are asked to give what you can. By any standards it has been a good summer of sport in Draycott&Cresswell. The cricket club led the way, but there was good news all round for our sportsmen and women. Blythe Cricket Club’s First XI (based in Cresswell) surprised all the pundits with a hugely impressive first season in the NSCCL top division. Despite being newly promoted, they ran neck and neck with the leaders right up until the last month, putting up some stunning performances. Even the last day of the season was a nail-biter – being an away match at local rivals Checkley for the honour of securing third place in the league… but captain Peter Finch and his boys overcame that hurdle, to cap a great run. Well done to them – and there is a bonus, in the fact that the greatly experienced overseas player in the team, Jalat Khan, has settled in so well this season that he’s agreed to rejoin Blythe next year too. 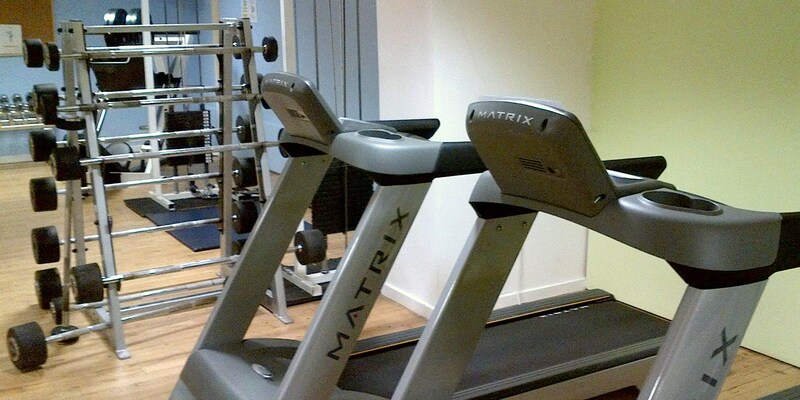 At the Draycott Sports Centre, the men’s tennis side had an average season by their standards, but the actual sports centre itself has gone from strength to strength with the recent opening of a completely refurbished new gym (see pic below). There are lots of offers on at the moment, so remember – you can now stay fit in comfort even when the weather turns lousy! The green-bowls side based in Cresswell (Checkley A), like Blythe CC, finished high up their division, ending the season as runners-up. After an indifferent first half of the summer, they raced through the second half with an amazing six wins from seven… ! 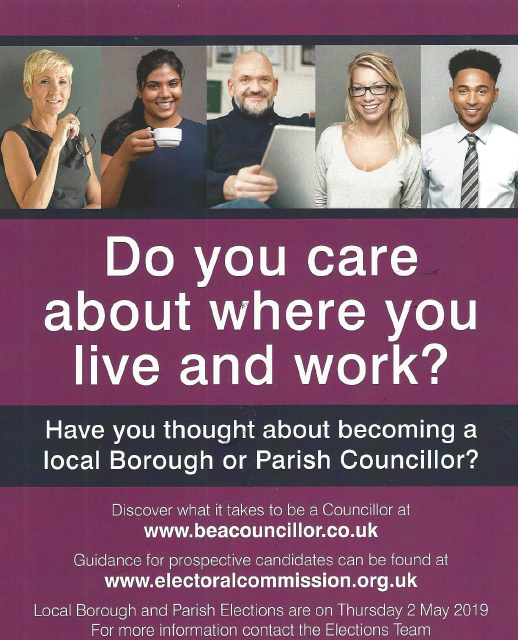 Even though Councillor Steve Jones only died last month, process grinds on; and already Draycott Council is advertising the vacancy. Seems hard to be so quick at it, but it’s a legal requirement. However, it’s not so simple as just holding an election. For community councils like Draycott, an election has ‘to be called’ first, which means that ten people (who must all be on the local electoral register) must sign a document to say that they want an election. The alternative is that the existing councillors will simply decide among themselves who should fill the spot (this is called ‘co-option’). Usually ten electors would ‘call’ an election because they don’t trust their current councillors to make an intelligent or an unbiased co-option. The notice-of-vacancy has now been published (see Draycott PC Website), and the deadline for an election to be ‘called’ is October 1st. It has now been announced that the formal inquiry into the ‘final’ version of the Staffordshire Moorlands Local Plan will get underway in the first week of October. They want to protest at the fact that 300 homes are to be built over the next five years in this small area, not to mention that there will be a large escalation of industrial factories. The Local Plan also sets out space for even further development in Draycott! Our own local Draycott Council did not actually make a response to the final draft of the Local Plan (no one seems to know why! ), so there is no chance of a representative from them being invited to speak, despite the massive issues facing our village. One of the issues that should have been addressed by our council is the odd way that the planners are trying to change the ‘settlement boundaries’ around us. It looks like part of what was within the Draycott Settlement-Area appears to be being shifted into the new Blythe Bridge settlement area. Now, why is that happening? 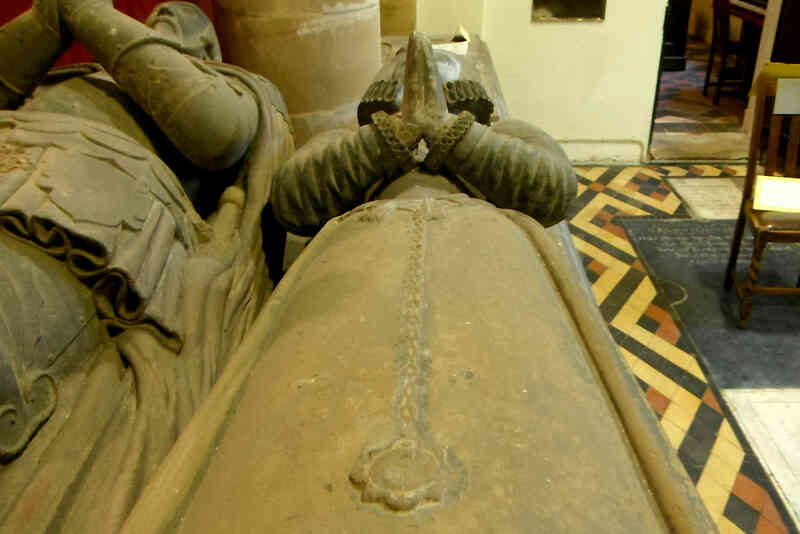 The celebrations for the 750th anniversary of St Margaret’s Church are hotting up: with the announcement that there is to be a History Day, during which the ways the church has been central to how this village’s growth since the thirteenth century will be outlined. The event takes place on October 20th. Signed up to lead the day will be our two most prominent local historians – Matthew Pointon (who wrote the definitive book of the history of this area) and Lev Wood, the ‘face’ of the local history society. We’ll bring you the details as they transpire. Lev also has hit the limelight in a second way. Everyone who attended the Draycott Fayre this year will have seen his amazing World War One re-enactment complete with trench dug-out. Well, Lev is also the man who has been credited with re-discovering an amazing, huge canvas on which is painted lots of scenes of battles from the Great War. It was painted by soldiers of the North Staffordshire Regiment, many of whom were recuperating from wounds themselves. It has a sad thrust though – along its base are listed over 900 names of the men’s comrades who had died in the conflict. This banner was stored away from sight for decades just decaying, but is now somewhat restored, and part of it can be seen in the special WW1 exhibition currently on at the Potteries Museum. The exhibition is on there until November 11th, and includes other artefacts too, and it really is worth getting along as soon as you can. Don’t forget… the A50 is completely closed – in both directions – from Blythe Bridge roundabout to Uttoxeter from 8pm on Friday 28 September through until 5.30am on Monday 1st October. The bridge that stands there at the moment (by the JCB factory) should be fully demolished by the end of the weekend; and the adjacent new bridge finally up and working fully – so you’d think that that would finally be an end of the ‘A50-Growth-Corridor’ roadworks, wouldn’t you? But, we’re told it won’t be. We can expect more disruption on the Uttoxeter end of the A522 until the end of the year. …no, don’t worry, it’s not our council election time (that’s next year), BUT your votes are requested please. Nearly everybody will know John Clarke (see pic right). In the last few years he has been the go-to man for so much that happens in our village. He is best-known for the being the Chief Organiser of the Draycott Summer Fayre, which is now so successful that being organiser is almost a year-round job. But John also does the little things too – he repairs our bus-shelters and notice-boards, delivers community newsletters, helped set up the churchyard lighting, and the like. He was the courageous fellow who climbed up into the church belfry for six months, working to restore the church’s 500-year old bells! And he does it all for nothing. In recognition of his work, this year John has been selected as one of the finalists in the Staffs Moorlands Volunteer Of The Year Award. However, the winner is decided by public vote – so, please take the thirty seconds to vote for him. To vote: just click on this link (and then click the button by John’s name at the bottom of that page). You can also vote by phone: just call 01538 381356, and leave your name and say you are voting for John Clarke (outside office hours, you’ll be diverted to Carol’s answer phone, and you can just leave your name and nominate John on that). Anyone is allowed to vote. Please vote – and please encourage friends, family, neighbours to vote (deadline is in just a few days – on May 31st). 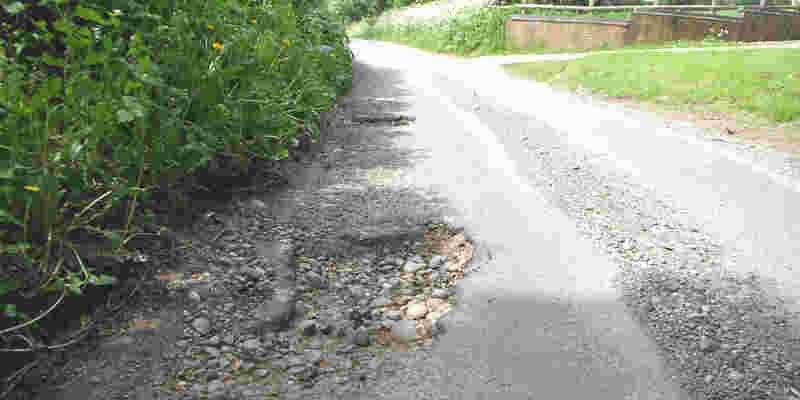 The county council used to have an excuse for the plethora of potholes. They said most of them were caused by unstable tarmac contracting in freezing winter conditions. Well, in a very hot Spring, that excuse looks less believable. However, the king of potholes, well over six inches deep, is at Draycott Cross on the road leading up to Boundary (see pic above). It’s a nightmare because it’s on a very narrow bend; you can feel your axle crunching as you go into it. Motorists, beware. To report a pothole, click here. As we predicted some months ago, a planning application for a local estate of over 100 homes has been given the final green light by Staffs Moorlands Council. 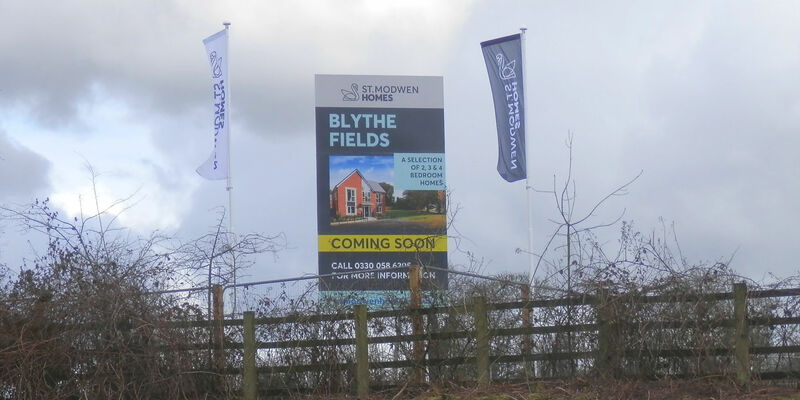 The developers, St Modwen, have had dibs on the land all along the ridge overlooking Draycott Level for some time; and when they decided they wanted to build houses at one end of it, it would have been a hard fight to stop them. The new estate, which will sit in the pocket of land which has the A50 on one side and the Blythe Bridge roundabout on the other, will also have a new access road – which will come out by the Chandni Cottage restaurant. Predictably, our Draycott Council had almost nothing to say about this, (despite the new estate being on the parish border), but the Stunner newspaper reported great disappointment from local residents Lee Warburton and Paul Dyke. Another resident, Brian Sammons said that the site was so isolated up on the ridge that it amounted to a “new village”. St Modwen has yet to announce what building plans they have for the rest of the ridge stretching along to Cresswell. Watch this space. One of Draycott’s most interesting properties looks like it has finally been sold. 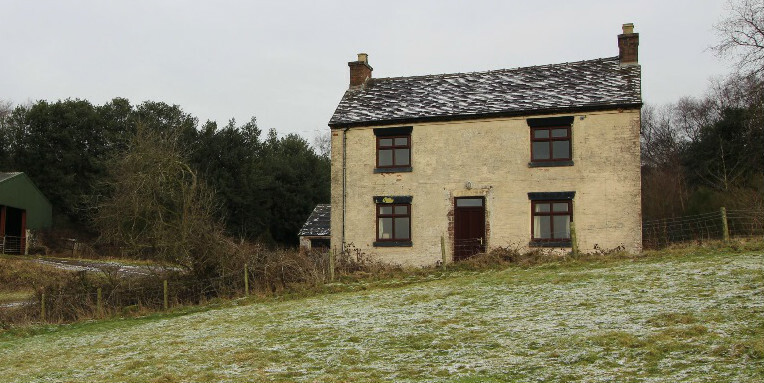 High Coneygreave Farm, up on Draycott Cross near Huntley Wood, is ‘under offer’ for around £400,000. The farm-site is very old, though the farmhouse itself is probably only 19th century (does any local historian know the answer?) and is in a lovely spot, with views all around. The only thing that seems to have put buyers off is all the work needed on the house. Incidentally, the farm is on the access road to Huntley Wood Recreation Park, a private facility which is mostly used these days by ‘game-playing’ or ‘role-playing’ societies. The members of these societies use the Wood’s open spaces to enact live scenarios similar to Dungeons & Dragons etc. So the new owners of High Coneygreave will have to get used to wizards and wonder-women passing their door! What’s up at Draycott Council? It might be best to try and forget the last council meeting. 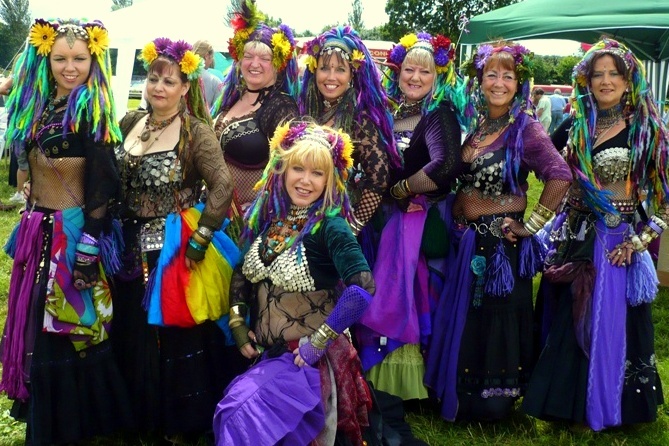 The council was supposed to have organised a village-assembly (when the whole village comes together, to look back on the last year and plan for the next). Well, it was a shambles. It was so badly organised and badly advertised that only one village organisation turned up specially (John Clarke, thank goodness, gave a report on the forthcoming village Summer Fayre) and less than ten people attended. What’s more, the acting council clerk said she wasn’t attending, and no-one had thought to go and collect the paperwork off her for the meeting, so it was all a bit confused. Sigh. 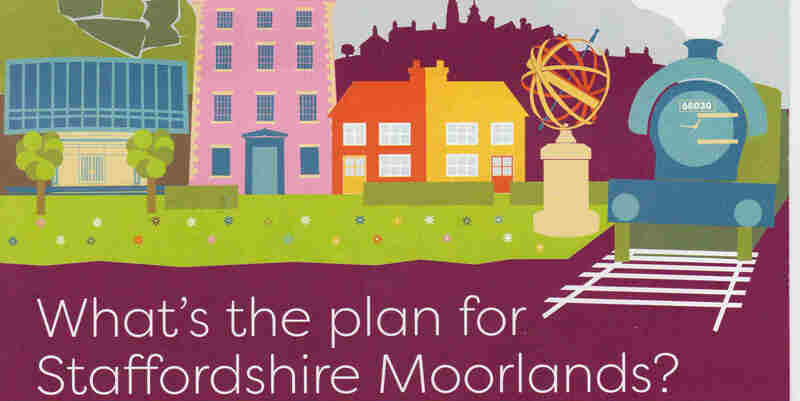 The latest draft of the Staffordshire Moorlands ‘Local Plan’ is now published, and copies can be seen in libraries and on-line. This is the fifth draft, and, in effect, this is the last, as no more changes are likely outside of a massive surprise. It only reveals what we already knew: that Draycott, in effect, will soon become an urban village, as part of a ribbon development with Blythe Bridge. 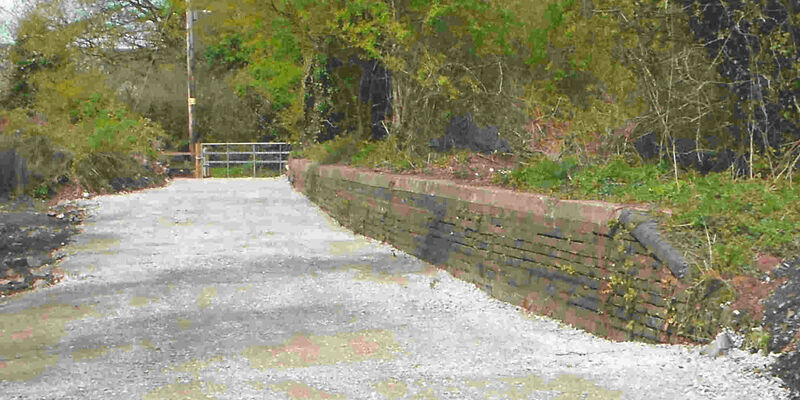 Blythe Bridge’s village-boundary is even to be extended this way. Previous protesting comments from local residents did not shake the planners’ resolve. So… Draycott will see two new housing estates in the next couple of years. Two already have permission to go ahead – one of 168 homes at Cresswell, plus one of 118 homes bordering the A50 on a site behind Chandni Cottage (which will soon grow, to become 300 homes). Overall, 1500 homes are set to be built in the Blythe Bridge/Draycott/Caverswall ‘ribbon’ area over the next 15 years. Plus… the ridge overlooking Uttoxeter Road already has outline permission for further housing & employment ‘opportunities’ in the near future. Residents in Cheadle Road will also note that a new employment park is also earmarked in the Plan, on a site off New Haden Road (just down from Draycott Cross). This final draft is now open to consultation, but only for legal points – one can no longer challenge the locations or numbers of homes & employment sites. So… what’s next? Staffordshire Moorlands Council will submit this Plan for approval to a government inquiry in the autumn. And there you have the only real reason to comment on the current Plan – because anyone who does make a comment will also be offered the chance to put their case before the government inspector in the autumn – in fact this is the only way you can ‘qualify’ to take part in the inquiry. It seems a daft way to do it, but there it is. So, yes, fireworks could start again in the autumn – but don’t count on it. Once upon a time, a pothole in the roads was an unusual sight. Not any more. In the 200 yards along Cresswell Lane, between the A50 flyover and Blythe Business Park, motorists now have at least five chances to crack their axles. This length of road is in such a poor state that, as soon as a pothole is repaired, it breaks up again. 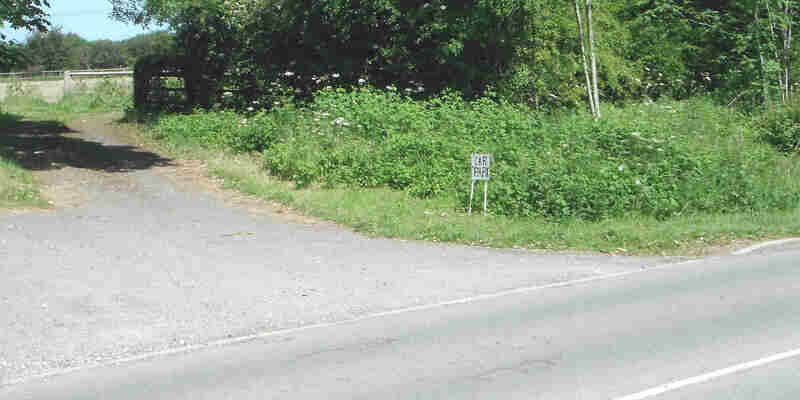 Motorists who know this stretch play a dangerous game, of swerving round them. 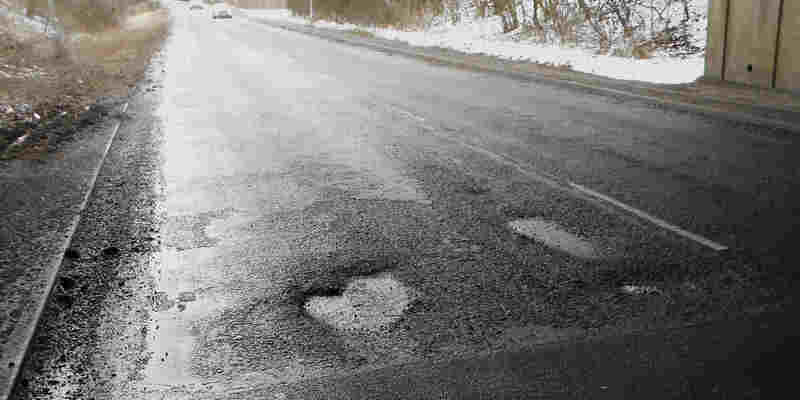 The plague of local potholes came to a head during the recent snowfalls: if you can’t see a pothole, you can’t avoid it. One poor driver smacked into the huge, snow-covered pothole outside Grange Farm (on Cheadle Road) – and told us all that his van had to be off the road for over a week for repairs. 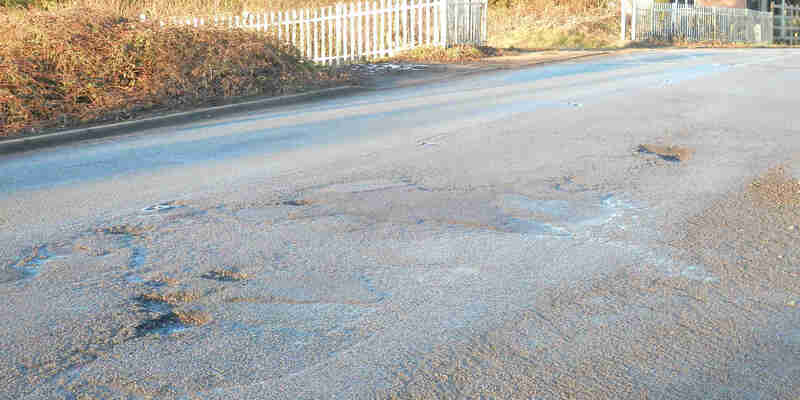 Residents attending a recent council meeting also complained of the pothole that has suddenly appeared outside Hilltop Farm on the road between the Draycott Arms and Totmonslow; cars swerving round that particular pothole (in a stretch where fast-moving traffic is prevalent), have already caused some real near-misses. 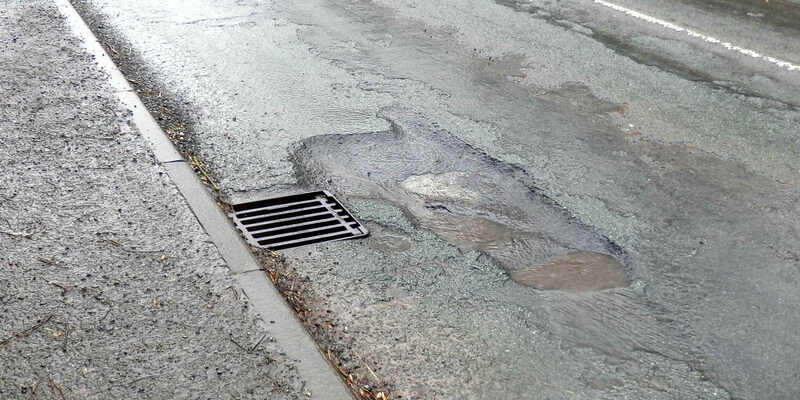 Responsibility for repairs falls to Staffordshire County’s Highways Department who are promising £5million to sort the issue, as of April. The county even has a dedicated Potholes Update webpage! But, as far as we are thinking, the answer to it all is drive more slowly… the potholes are probably here to stay. It may seem a long way off, but in November the country will be remembering 100 years since the end of the First World War. A series of commemoration events across November 11th will look back at the day the nation emerged from all that misery. 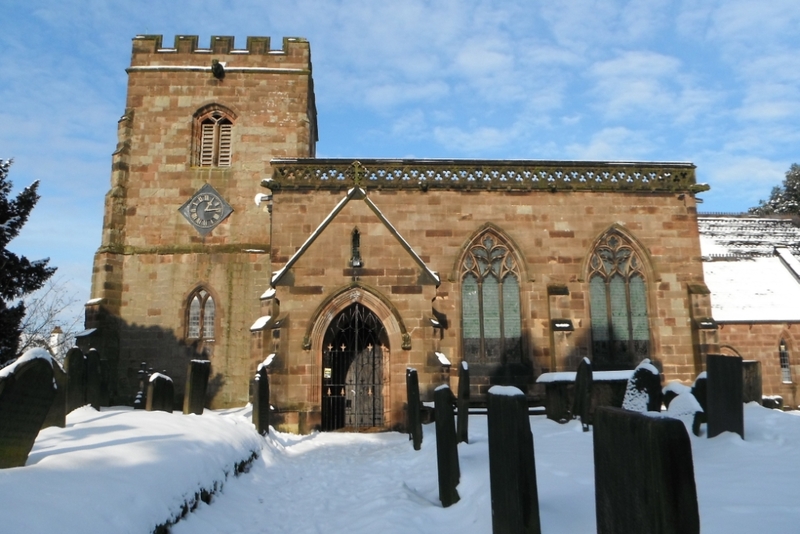 Draycott is being invited to take part, as are all other parishes across the UK, by ringing its church bells in a ‘joyful peal’ in the evening on the day. And the St Margaret’s Bell-Ringing group would welcome any new-comers who feel they could contribute. Recently the group has struggled a bit to find enough members, so volunteering to help them could be your way to take part in the Great-War Armistice Event Day. Ring a bell at St Margaret’s! Anyone can ring a church bell – but you do need some practice, so expressing your willingness is best done now or as soon as possible. Your man to contact is John Clarke, and he will tell you what’s what. If you are interested more widely in how Staffordshire will remember Armistice Day, there is a free event taking place next Sunday (10th March) in Stafford – the Staffordshire Great-War Commemoration Conference – and all are welcome. If you have an idea, or just want to join in, this could be a meeting worth attending. 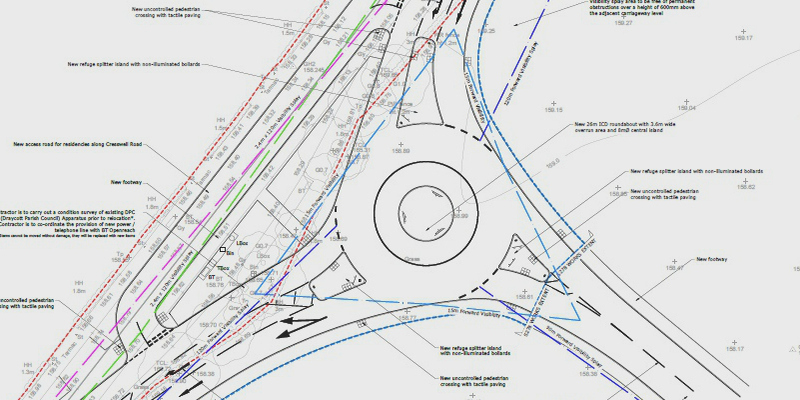 Detailed plans are now in for the large new roundabout which is to be built in the middle of Cresswell. The roundabout will service the new housing estate & expansion of the adjacent industrial site. 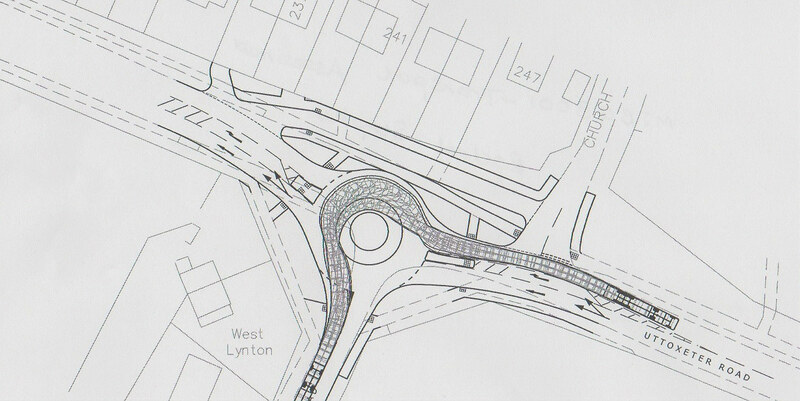 All the measurements are listed on the plans, and it looks like the roundabout will be some 25m across – about half the width of a football pitch – with a grass mound in the middle. Basically it will be built on the field behind the present lay-by; and the current length of Sandon Road opposite the lay-by will be re-worked, as a residents’-only access frontage. All of us have just over a month left to look over the plans and to comment on them. Click here to get a better close-up of the plans, and click here to make your comments (by March 7th). What’s interesting is that the construction-works this year will also include the new central roadway through the whole Blythe Park development – at the far end of which (on a virgin plot beyond the current industrial park) will also be being built a large new factory-warehouse for a garden-furniture company. Better late than never, the price list for the hire of the new pavilion at Blythe Cricket Club (in Cresswell) is finally with us – and the prices aren’t bad at all. 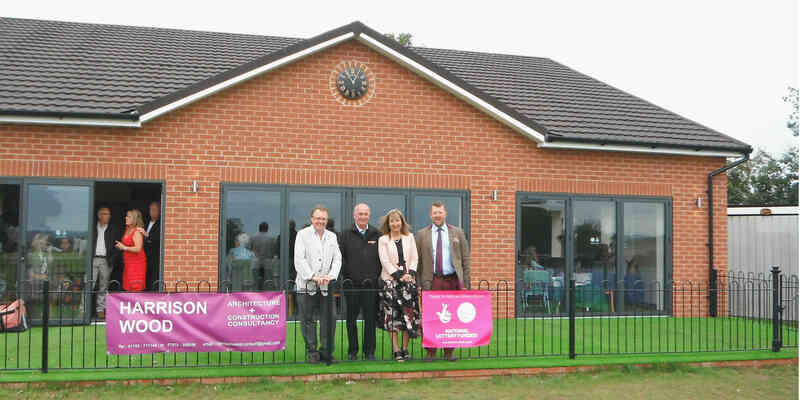 If you remember, the brand-new facilities at the club opened at the end of last summer to great fanfare – in large measure, thanks to a huge £500,000 grant from the Big Lottery Fund. Part of the club’s deal with the Lottery was that the ‘hub’, as it’s known, must be open for use by the surrounding community too. The new-build includes new changing-rooms, updated toilets and baby-changing facilities – but, most importantly, as far as local residents are concerned, there is a shiny new large space (and bar) which is available for hire to the public. And the prices are OK (well, we think so) – £50 for a half-day (not including bar & bartender). Check them out for yourself – see the official Blythe Community Hub – price list. It’s an irony of the way that things go in the modern world that we have now have four community spaces for hire in our district (the village hall, the Cresswell dojo, the sports centre and now the cricket club), as well as – sometime in the next few years -, another one which will come as part of the forthcoming Blythe Park Housing Estate. So, we have a plethora of ‘community hubs’ – but not even a little local shop!! Oh well. Once all the new building developments are completed over the next five years, Draycott-Cresswell is going to start snarling up with lots more traffic – the amount of cars owned by Cresswell households alone is set to double. It’d be nice to think then that the railway service into Stoke or Derby (from the rail station at Blythe Bridge) is an option for more comfortable travel. But, as anyone who travels the line at peak time will know, the carriage/s (yes, often there is just one coach!) is absolutely jam-packed. Not pleasant. So the MP for Stoke South, Jack Brereton, initiated an online petition in early December, in which he called on the government’s railways minister to force the local operating company to renew the rolling stock and improve the service. Trouble is that poor old Jack has only got 45 supporters so far. Oh well. 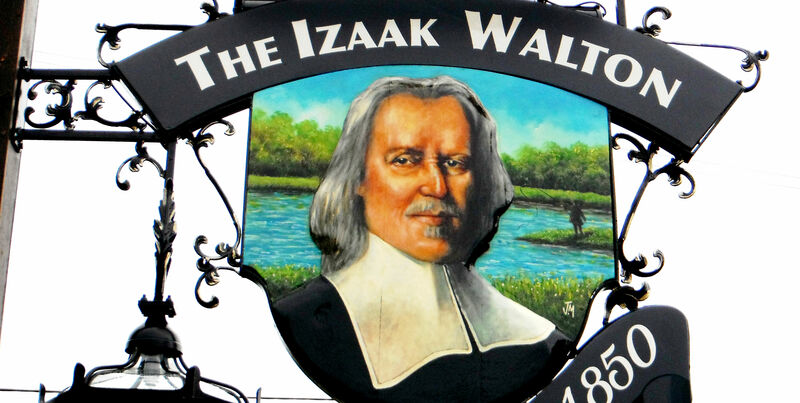 By the way, still no word on what is likely to happen to the Izaak Walton Pub in Cresswell. When it closed in last year there were quickly rumours that a small resto-pub chain was interested, and there were high hopes that the old place would open again soon. Seems like those hopes were dashed, and the caretakers have had to stay on ever since – though the asking price has been reduced, down to £325,000. The whole pub-hospitality business is a very difficult one at the moment, but it certainly would be good to see some sort of future for a place that is so iconic of the whole village. Plans have already been approved to remove the last bus service from Draycott. Sadly, cuts to bus-subsidies by the county council mean that the No 12 route (run by D&G Bus, from Stone through Cresswell and Draycott along to Longton), is for the chop, as, without subsidies, it would be no longer viable to run. It’s a sad decline for the district. Only a few years ago, the Hanley–Uttoxeter Express ran through the village! And now we will be reduced to nothing. Draycott councillors also have another big issue on their minds, which should make their next meeting (on January 15th) a tense one. For years now, the council has been underpaying its clerk (a council clerk is a sort of executive, non-elected administrator to a council). It turns out that the clerk – according to the guidelines laid down – should have been paid for nearly a quarter more hours than she is currently getting. As you can imagine, this increase in her wages will cause a large hike in the council’s expenditure – and, as the council is funded by us, the taxpayers of Draycott-Cresswell-Totmonslow, it could mean in turn a large percentage hike in our ‘parish’ council tax. Decision-time for them is Monday 15th. 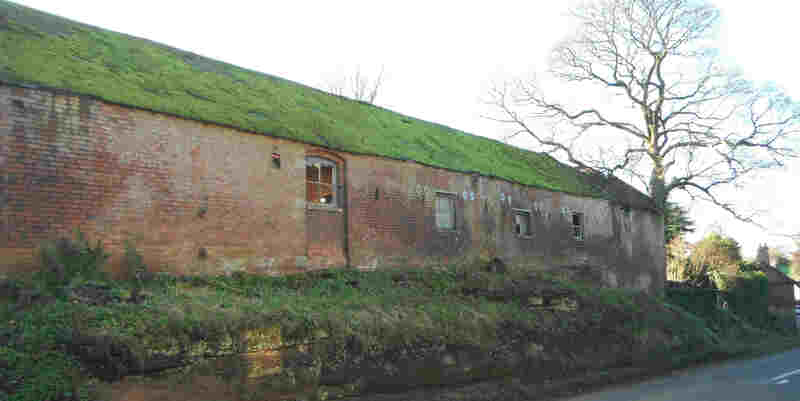 At last, planning officers at SMDC have given a decision on the future of the old barn (see pic below) that stands just opposite the Draycott Arms. A local farmer, George Plant, had put in an application to turn the building (which is pretty run-down now, and was used for hay-storage in the past) into a smart new home. Well, George has his wish, and has been told he can now go ahead. However, those in that part of the village who were worried about a ‘loss of character’ may be pleased to learn that the present structure, which goes back to the 1880s, will not be demolished. Part of the planning permission is that builders must retain the walls and the ‘look’ of the old barn. Yes, we are going through bad times at the moment in this part of the world: inflation is creeping up, there is a stagnant housing market, and there isn’t much left over at the end of the week to play with. This is why the recent news that Draycott Sports Centre has attracted a new sponsor is definitely a positive story. In just the last few months the centre has worked out a deal with A-Star Tutoring, a company that provides private teaching to kids of all ages. In the near future at Draycott Centre expect to see the likes of tennis tournaments etc bearing the name & logo of A-Star Tutoring. Even though we have miles and miles of footpaths in our small district, we have no regular maintenance of them by a recognised volunteer group. So, apart from the little bit that individuals do to care for stiles & destroyed signs and to report blockages, we have to rely on county council ‘rangers’. And the fact is that the environment department has taken a hammering in terms of cuts, so the rangers are doing less and less. Near Oak Hill. 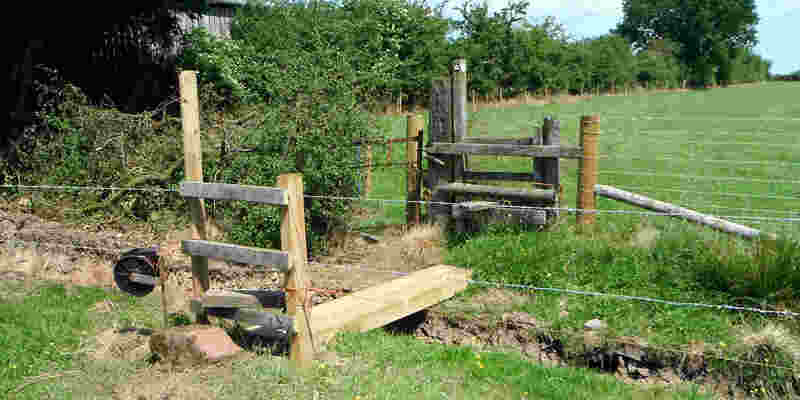 Some landowners do make an effort to maintain stiles… nice one! So, our nearest campaigning group, the Leek Ramblers, is urging everyone who loves walking in the countryside to complete the survey currently on offer from the county council – the Staffs Rights Of Way Consultation. The Ramblers are warning that paths may close unless our voices are heard, so, if, like them, you want to keep the local countryside fully open, you need to complete it. This consultation was due to have been halted by now but, under pressure, the county has extended the deadline to January 15th. Do you have news you’d like to see written up on this website? If so – just email us! It’s great to see the re-publication of three definitive booklets about the history of Draycott St Margaret’s Church. Very few print copies of these works are now available; even reference copies are hard to find. Some history-buffs will be already aware of two of the booklets: ‘Parish Church of St Margaret’ by June Johanneson & Ken Burgess (1989); ‘and ‘A Condensed History of St Margaret’s Church’ written by Bert Spencer using researches of Ken & Mollie Burgess (publ 1995). Bert’s booklet is the one to look at if you are new to the church; it picks out the main features and is nice and short (20 pages). Of course, both these histories are developments of an earlier, 1967 work by Rev Charles Healey (the rector here during the 1960s), called ‘A Short History of St Margaret’s Church’. However, the document that hardly anybody has seen up to yet is the ‘NADFAS Guide to St Margaret’s’ (1996). Only three of these were published – as it’s a whopping 200 pages long and full of the very deepest details. If you want to know every last meaning in any one of the stained-glass windows, or the material used in every piece of stonework, or the date of every piece of furniture in the church, then this is the work for you!! 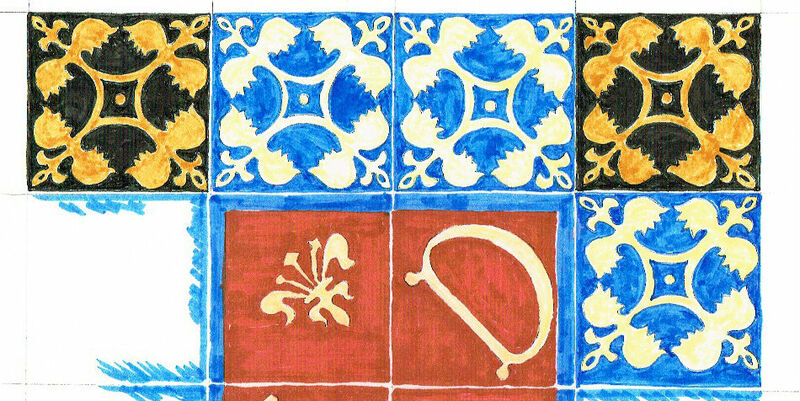 Even each floor-tile is described & explained! All these three publications have now been copied digitally to CD – and the CD is available for £5. Income from sales will go straight into the church’s repair fund. Email John Clarke or phone him on 01782 396190 for details. If you do love old churches, all are invited to go along to St Margaret’s Open Days – on the first Saturday of July and August and September between 2 and 4pm. Look for the ‘church open’ sign. There is always someone to tell you about the church if you wish to know more. If you do buy this St Margaret’s History CD, you may even be the expert in the building! 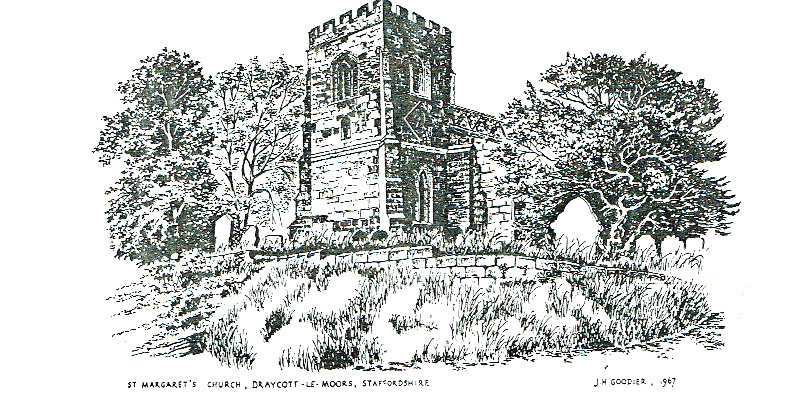 It’s not just Draycott … many communities across the region are beginning to realise the importance of the history of their old churches. Now that local schools and post offices are closing, and even country pubs are feeling the financial heat, an old church is sometimes the only place remaining that links us to our collective past. Our local Methodists too have realised this and are celebrating the history of their tiny historic chapel at Boundary (Boundary is next hamlet along from Draycott Cross, so quite a few Draycottians will know the chapel well). Every Saturday afternoon during August, between 2pm-4pm, the chapel will be hosting a history display with photos and memorabilia going right back tot when the chapel opened. Well done to Blythe Cricket Club! The gates to the club’s ground in Cresswell are right on the brow of a humpback hill and in the past, when the club’s car-park was full, visitors to the ground have parked on the roadside. But, as everyone knows, parking on the top of a hill which has a blind brow can be dangerous; and residents did ask for the club to do something about the problem before an accident occurred. A secondary factor is that the club is a victim of its own success. The First XI is doing so well in the NSSCL Division One that more spectators are attracted to come to watch – making a need for even more parking space. The club said they’d try to come up with a solution. Well – true to their word, the club has now solved the problem. What the club has done has got permission to use the field opposite the entry – which is now functioning as an overspill car-park. One of the big shake-ups for Draycott will be the huge increase in traffic coming along Uttoxeter Road when the proposed housing-estate & industrial-estate are built. Industrial vehicles will not be allowed to go south from the new business-park because the roads in Hilderstone (the next district along going south) are too narrow, so all the industrial traffic will have to come through Draycott Level. Because snarl-ups will be inevitable otherwise (see VVSM Highways Report), a huge new roundabout is planned for the centre of the village. The diagram that has been produced by the planners & developers (see pic above) is a bit confusing though, and back in January one of our district councillors, Dave Trigger, agreed to research the issue and get some answers. Not surprisingly, residents are wondering where that research is. However, the bad news is that Dave has been very ill since the beginning of the year and not been able to fulfil more the most basic of his duties… so residents will have to wait. Dave is a highways expert, so he really is the man for the job. In the meantime, we send our best wishes to him and hope he gets better as soon as possible.